Dental emergency can happen at any time day or night and range from an agonizing toothache to a knocked-out tooth. A calm, rational response can help prevent tooth loss or any permanent damage, so here are some handy tips in case a dental emergency occurs. Our Dental Emergency Dentist proudly serving Dental Emergency in Redondo Beach, Hermosa Beach, Manhattan Beach and Torrance, we will treat your dental emergency the same day. Even if you are a new patient, you can call us with confidence, knowing that we will give your dental issue the immediate care it needs. Let us help you quickly and painlessly with prompt emergency dental care. Our Emergency dental clinic can accommodate dental emergencies and accidents quickly and efficiently during weekdays. How soon should I see a dentist for dental emergency ? We are one of the top dental emergency clinic in south bay serving Hermosa Beach, Manhattan Beach, Torrance and have a long-standing history of providing quality dental care for everyone. Our staff are highly trained and our doctors possess the right knowledge and tools to take any dental emergency that you may have. When you notice signs of decaying teeth or constant oral pain you should take these sings serious a contact an emergency dental provider as soon as possible. Most injuries to the mouth should be treated by a Emergency dentist as soon as possible. Getting there within 30 minutes can make the difference between saving or losing a tooth. Most dentists reserve time in their daily schedules for possible emergencies, so explain the full condition to staff so they can fit you in immediately. How do you respond if you have a dental emergency ? Knocked-out tooth: The first step is to stay calm and find the actual tooth. Handle it by the crown (the top), not the root, without scraping or rubbing away any tissue fragments. If possible, rinse the tooth quickly in milk or some saliva to remove any dirt or debris. Then try to gently hold it in place in the socket. If you’re not able to replant the tooth, keep it moist by immersing it in milk or saliva (not water), sealing it in plastic wrap, or placing it in the person’s mouth next to the cheek. Time is critical in saving the tooth so contact the dentist immediately for an emergency appointment. This often occurs during eating or as a result of a fall. Clean the area gently with warm, salty water. Then apply pressure to the area with an ice pack in a clean cloth or a cold compress to the area outside to reduce bleeding and limit any swelling. If bleeding continues after about 15 minutes, see your dentist or go to the emergency room. This is a localized infection that usually forms at the root of the tooth or in the space between the teeth and gums. This painful condition can actually damage tissue and surrounding teeth and if left untreated, it can cause more widespread infection and may be life threatening. So it’s important to see your dentist as soon as possible. Regular warm salt water rinsing can also help alleviate discomfort until you’re able to see your dentist. If a cavity develops underneath a filling or crown, it can become loose and eventually fall out. It can be rather painful because the exposed middle layer (dentine) of tooth will be sensitive to any hot or cold foods. A new filling or crown will be needed so visit your dentist as soon as you can for a solution. There are simple precautions to help prevent certain injuries to the teeth. When participating in sport or recreational activities, always wear a custom-made mouth guard that is designed and fitted by a dentist. When opening a pack of chips, a bag of peanuts or other plastic containers of food products, always use scissors rather that your teeth. Also, try not to chew on hard objects such as ice, pens, nuts or even a brutal baguette! Even if you’re a new patient to our practice we will do our best to get you seen fast. 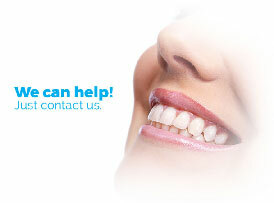 We are here to help patients with dental emergencies in South Bay and all surrounding cities. You can feel confident you will be given prompt and effective care. Dental emergencies can happen at any time, and time is always of the essence. When you or a member of your family needs emergency dental care, you need to know that your issue will be dealt with as quickly and capably as possible. the socket. If unable to replant the tooth, place the tooth in saliva, milk or salt water and bring it along with the patient to our office. Dental emergency can happen at any time day or night and range from an agonizing toothache to a knocked-out tooth. A calm, rational response can help dental Emergency, Torrance , redondo Beach, Mahhhatan beach, Hermosa Beach prevent tooth loss or any permanent damage, so here are some handy tips in case a dental emergency occurs. Our Dental Emergency Dentist proudly serving Dental Emergency in Redondo Beach, Hermosa Beach, Manhattan Beach and Torrance, we will treat your dental emergency the same day. Even if you are a new patient, you can call us with confidence, knowing that we will give your dental issue the immediate care it needs.